Play as the Archangels assigned by the Omni-potent to save a dying soul and battle your way throughout the purgatory in this short dungeon crawler-based RPG. (WARNING: Contains light-hearted religious themes..) Short Notice: You can use the fountain at Heaven to fully recover your party! Features: - Fully features music from the very beautiful "RMN Music Pack"! - Addicting and Fun Fast-paced RTAB battle system with an enjoyable camera-work! - A fun-filled short that allows you to explore many different dimensions, each having their own unique challenges, monsters and bosses to overcome! - Extremely fun and powerful characters to play as! - Mind stimulating battles to enjoy and strategize! - Dynamic and Challenging boss fights! - It is short, fun and simple! Credits: Graphics - Gozaru - Sithjester - Iceaxe - Luthur, Fox5, Ccoa, - Cyanyurikago Music (The beautiful RMN Music Pack!) Mc Tricky - "Royalty of Sin" - "Composed Malevolence" - "Valiance" Subaru - "Resonance Hopes Ignited Wills" Lana42 - "Hamlet" Jude - "Center of the Galaxy" Xcalnarok - "Peaceful Moment" Happy - "Mellow Darkness" Snowy_Fox - "Tranquil Town" - "Caverns" - "The Ritual" Jasprelao - "Poem for the different future" - "Peaceful soul" - "Circle of Light" Gamesfreak13563 - "Desert Crossing" Kunsel - "Puzzles" - "Run" hyde9318 - "Cool Island Breeze" Scripts: - Cogwheel - DerVVulfman - Ccoa - Fukuyama - Near Fantastica Special Thanks: - Enterbrain Further Notes: This is officially my 3rd game in RPG makng!! And I'm very happy to be able to complete it within a week's time. Thank you God for all these fun possibilities and for all the people and their beautiful works involved in making this game possible! I sure hope that you all enjoy this game as I did making it!! 1. Shuya's 3D model art 2. 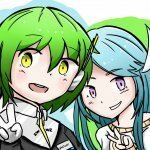 Mirpono 's Very cute Sky fanart! 3. Game Character Map (Huge image) Pictures used: Gozaru, Chaos-portal, Shuya's 3D melyra art. Credits - Gozaru for the facesets - KHinsider.com for the midi's I used ingame - MetalRenard for helping me with my writing - Lightness for a minor face recolor edit - VIPRPG for the costum RTP based charsets Features - Fun and colorful story, dialogues and characters. - Immersive soul capturing plot events. - Decent Battle difficulties, beginner friendly, as well as interactive enough for expert gamers. - Side quests and hidden quests that allows you to acquire items, money or even summons!! - Nostalgic RPG music for your ears' memoirs. - Puzzles with a mix of poetic riddles to ignite that curiousity! - Explore the fantasy world of Vyen, the continents.. and learn their mysteries! It is really one of my goals to make this an emotionally driven RPG that is both soulful and meaningful. I want to give that feeling from before when we started playing RPG games in our childhood such as the Final Fantasy series. The vibe those games gave where it is fun not only game-play wise, but also story-wise. Creating a story that is involving for the players as you lost yourselves, fully immersing within a rich fantasy world. Riding this story which is intended to bring about childhood nostalgia and feelings of love for such games and it's simplicity. I hope that I have given you all an RPG that you can enjoy as my goals dictate. Abstract: Just wake up by feeling sick Genre: Rpg, Fantasy, Horror Game Progression: On-going Recruitment: None. Playtime: 10+ minutes Screenshots: Setting: There no story yet, Can't tell you much, you had experienced for it, it is a psychological horror game mix with something else, it going be by part next two updates. Tell me what you find? Character Info: Not much about the character yet, it up to you want to know the character there be update game Video: youtu.be/5jQqPEqOWKc Game link rar version: mega.nz/#!5kcXhahB!deSw4UuzLwm… Game link zip version: mega.nz/#!c9ExCaoC!xEY4h_uLBSt… If you having you having trouble you need RPG MAKER VX ACE Run Time Package(RTP) Credits: Scripts ﻿: Zeus8, Khas Arcthunder - arcthunder.site40.net Victor Sant Special Thanks: TheUnproPro Skytric Drawing and sprites character made by me The music made by me Please give me your feedback that cool. dwimmerdelve Dwimmerdelve: The current plan. Since I have become a bit more serious about making an actual game I might as well explain a bit about what I intend to do with it. So, here are my current plans about what I am doing. First what I have already done: I have a pretty okay random dungeon generator script and several existing dungeon 'themes' which all look a fair bit distinct and decorative. I have a basic roguelike combat system in place. The kinks need to be worked out, but it works. For a one actor party anyway. I have a inventory system with features such as equipment enchantment and roguelike style item identification. A fair bit of different monsters, skills, and items. Here is some stuff I am going to need to do: Right now the only thing the player can really do is roguelike-style bump attacks. I need to redesign the menus/interface to allow for skills and items to be selected and targeted. Monsters chose skills from an enemy moves list, but I may need to think more about how I choose skills and how range works. Perhaps I should use visible projectiles even? Rebalance the hell out of everything. Here is some stuff I may or may not do: Add support for multiple party members. I have been trying to write stuff in a manner so this is possible, but I may need to totally rewrite how I handle inputs if I want to allow the ability to take full control of the party (which if I am adding party members at all, I absolutely do). You might notice I haven't mentioned much about the story/setting yet. Partly because I want to get the full gameplay system worked out before I bother that much, but also party because I am still not sure about some of the details yet. That it will be heavily based on lots of the things I have said about fairies over the years here is not in question. The setting will definitely be fairyland... or a fairyland anyway. Perhaps more then one. The simplest basic plot outline I have in mind probobly is that the player character is a human who was abducted by fairies and perhaps transformed into a fairy. I might want to allow the player to create a character, but that might be tricky to do in way I am happy with. If I can get one of those visual equip script things working, perhaps I will use that to let you choose what the player looks like. Perhaps I could even have transformations and stuff. It might be fun to make it a bit like Corruption of Champions actually. <3 I mean not necessarily the naughty stuff (though I would be tempted), but the way items can change your body parts. And hey, mutation is a thing in some roguelikes anyway. But it would probobly be a lot easier if I just used a set character, at least for now. Right now the one delving in those dwimmery dungeons is me! Kayzee the fairy! Hehe... I am not sure I want to be the main character though. I think if I show up I am much more suited to be a sort of trickster mentor who helps guide the main character. Though I could also tell my own story, it might be interesting to tell how I became a fairy in the first place, if a bit embarrassing. One thing that I haven't been very shy about admitting is even at my most active I have never been that serious about game development here. I like to code neat scripts sometimes yes, and I do like to experiment, and I love to discuss and theorize, but sitting down and actually trying to make a real game by myself always struck me as kind of too much work for me. Mostly probobly just cause I am lazy, but even so when it comes right down to it I am not sure I ever had a really good solid idea for one. Oh don't get me wrong, I have plenty of ideas that I think are neat, but most of them are either random mishmashes of ideas that don't fit together in any real way or are just too overly ambitious to really get anywhere on. Every once and a while I have this 'big project' I want to work on but don;t end up really doing much with. The one time I tried to team up with some other people didn't turn out that well and I am not sure I am cut out for teamwork. That being said, I still have been ever so slowly chipping away at my own little block of stone. 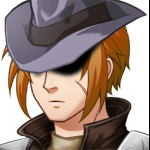 For all the years I have been on this site I have maintained a RPG Maker VX Ace project that I occasionally fiddle with, adding more and more experiments and random ideas to. It's more of my own personal script testing bed then anything else. I know I probobly should have moved on to MV ages ago but... there is just so much I have done with VX Ace! And bit by bit I think it's starting to pay off. It's still a mess of experiments without much underlying theme or idea behind it, but I am slowly seeing more and more a shape emerge that I might be able to refine. One might remember my old dungeon demo thing. I have added a ton to the scripts there since I bothered to update it, and it seems like I added another ton jut with in the lat few months. I just more or less managed to finally get a roguelike-style battle system (or as I like to call it a 'one-step tactical battle system', since it's basically like a tactical RPG battle system only things can only move one step per turn, or one could think of it as a 'turn-based ABS' perhaps if that idea doesn't make your head explode) working properly. Now I have wanted to do a proper roguelike for a while, and I basically have all the major parts needed to make one from the random dungeons to even the item identification thing. I have a number of interesting tweaks to the generator to produce what may be some of the most pretty dungeons I have seen from similar style dungeon generators, and a number of dungeon types already done. I have a fair variety of different critters too that move and behave in different ways. Imps that can fly over gaps, Sea creatures that can swim, Bats that can fly and move quickly but erratically, Spiders which are slow but can suddenly jump at their target, Ghosts which phase through walls, and so on. But if that were all I would still probobly end up with a bit of a disconnected mess of ideas. As much as I think gameplay is more important then story or presentation in games, I can't really deny the importance of theming at the very least. Just blindly programing in whatever idea I can think of without some overall hook to the design to tie it all together probobly will just leave me with what I have been doing for the last few years: Just throwing stuff into a pile and poking it to see what it does. Ah, but fortunately I do have the perfect thing to tie it all together I think, and I didn't even really have to go far to find it! Just look at all the stuff I have been telling people about fairies over the time I have been here. A lot of the details could fit right in with a roguelike actually. Even my older abandoned team game had a big focus on that kind of thing. I even have a name picked out! How about "Dwimmerdelve: Adventures in a Phantasmagorical Fairyland"? What do you think?